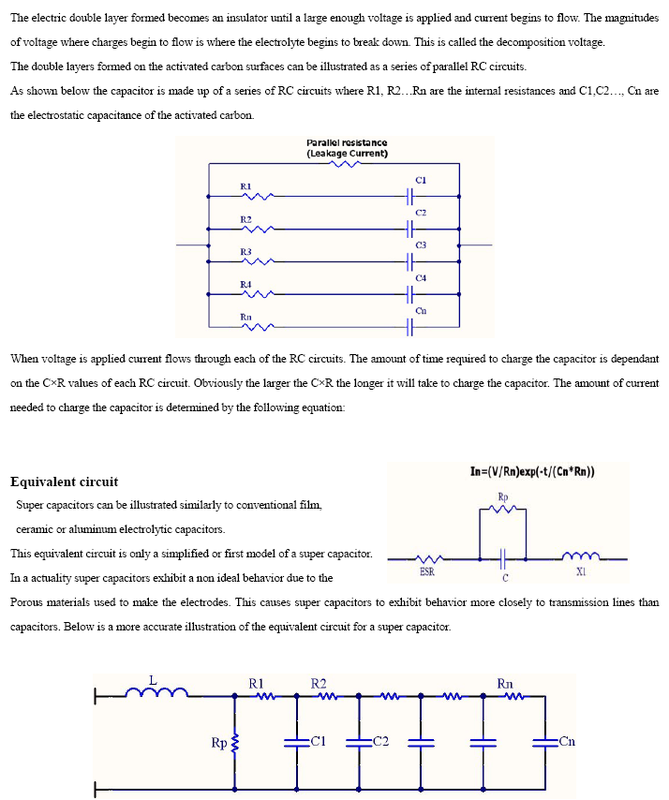 Super capacitors also called ultracapacitors and electric double layer capacitors (EDLC) are capacitors with capacitance values greater than any other capacitor type available today. 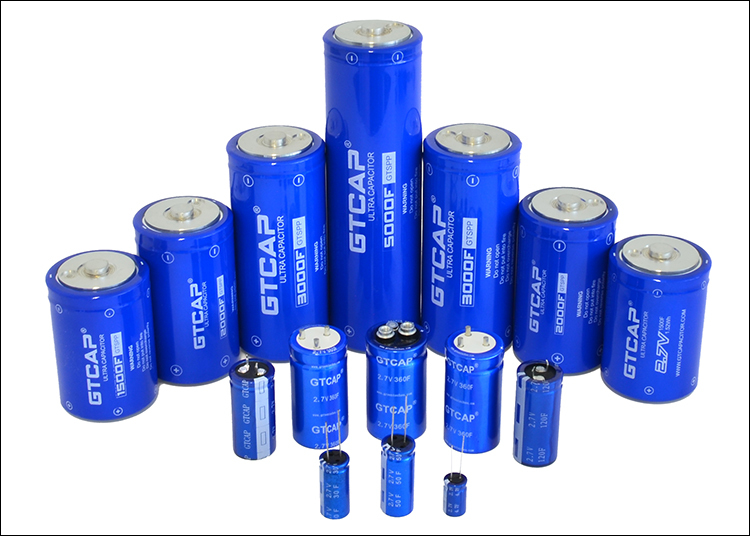 Super capacitors have the highest capacitive density available today with densities so high that these capacitors can be used to applications normally reserved for batteries. 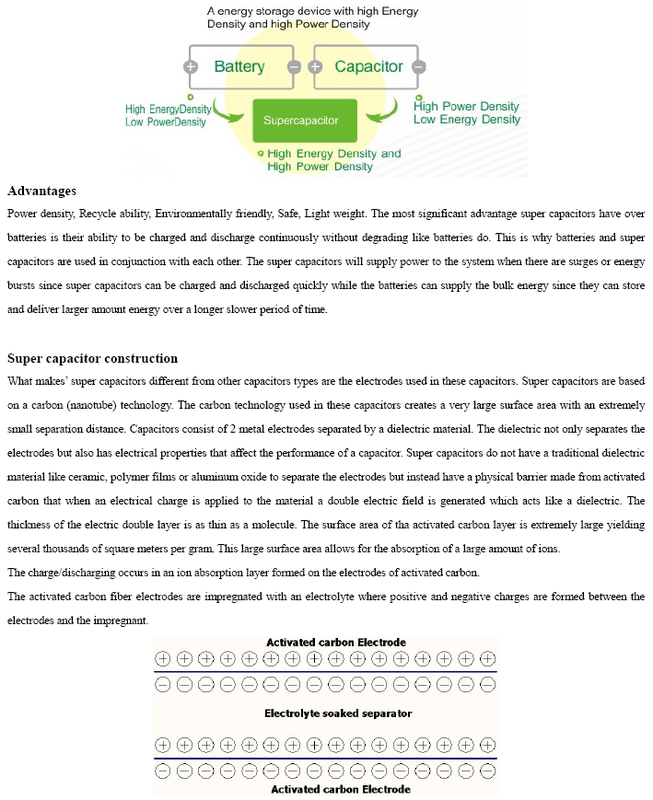 Super capacitors are not as volumetrically efficient and are more expensive than batteries but they do have other advantages over batteries making the preferred choice in applications requiring a large amount of energy storage to be stored and delivered in bursts repeatedly. 2. Use under rated voltage. 3. 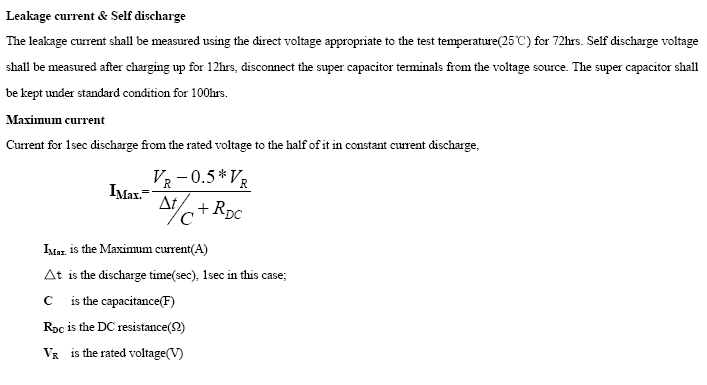 Not applied to high-frequency charge and discharge circuit. 4. 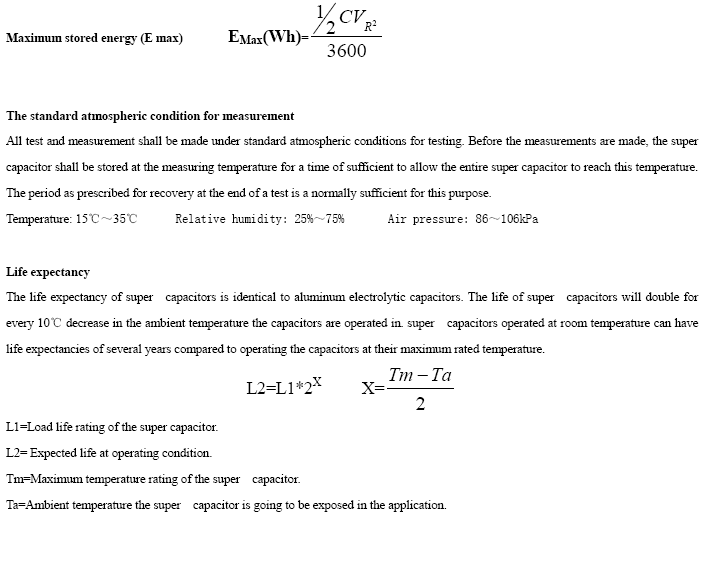 Lifecycle can be influenced by ambient temperature. 6. Not stored in relative humidity more than 85% or the room with roxic gas. 7. Should stored at -30℃~+50℃ and in less than 60% relative humidity. 8. When used on double-sided printed circuit board, the connection can not reach the place through the capacitor. 9. After installation, not tilt or twist to the capacitor. 10. Avoid overheating the capacitor in the soldering process. (For a 1.6mm printed circuit board, the soldering process should be 230℃, less than 5s). 11. After soldering, circuit boards and capacitors need to go through cleaning. 12. 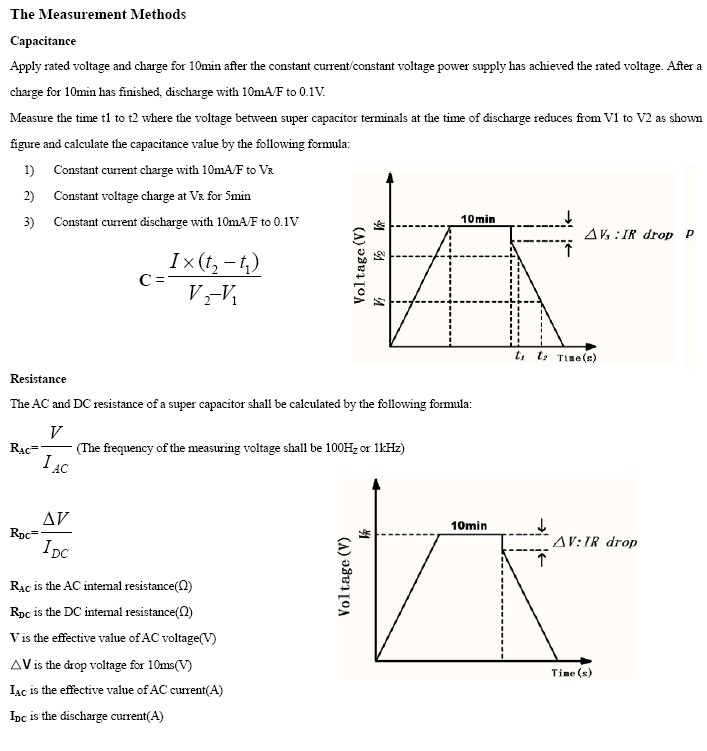 When in series connection, there is the voltage balance between monomer. 13. Any question, please consult the manufacturer or carry out refer to the relevant technical data of our products. We can offer professional service about capacitors and customized production,any inquiry,welcome to contact us. Copyright . Shanghai Green Tech Co.,Ltd.